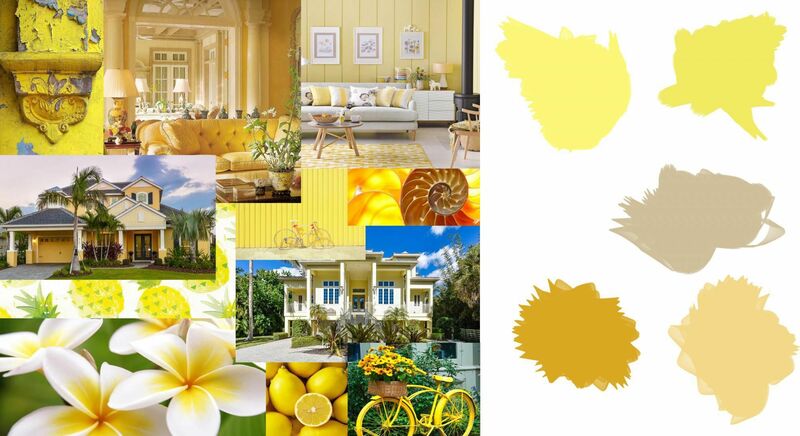 Yellow, is one of the most popular house colors in the Sunshine State and it's no wonder why as it compliments the tropical flavor of the area so well. It is the color of optimism, enlightenment, and happiness bringing positivity to its surroundings. All colors bring out different moods and sensations effecting everyone slightly differently but the color yellow is universally thought to be the most cheerful of the color spectrum with its brightness. Being that most days of the year here in Florida are spent bright and sunny the color yellow reflects a collective positive attitude towards our cheerful weather all year round. It is important to choose colors for your home wisely and most importantly picking colors that reflect your own interests and personality as well as considering functionality. Darker home colors attract more heat especially here in Florida where we face nearly 365 days of sun each year and intensely hot summers. Lighter colors on the exterior of your home keep it cooler and bounce back the light from the sun while the darker colors absorb the heat. This will save you lots of extra money especially during the summer months! 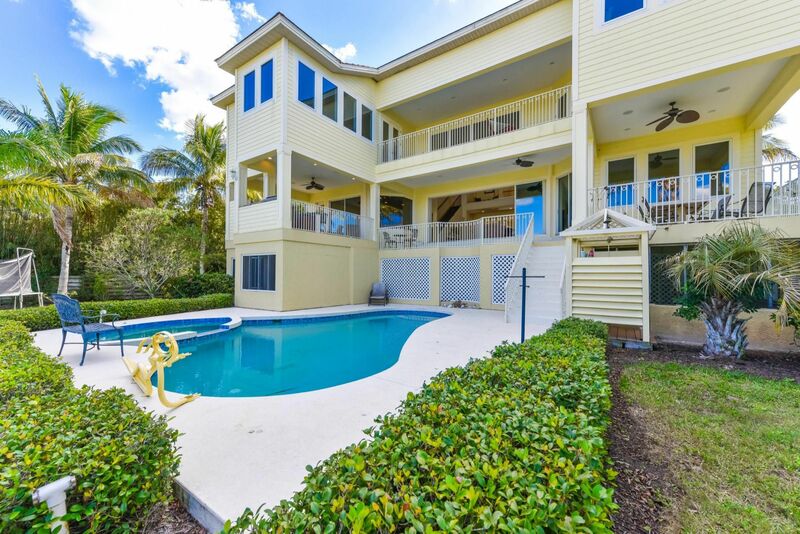 We have featured two of our best yellow waterfront homes here in Sarasota both reflecting two different styles of architecture and equally beautiful! 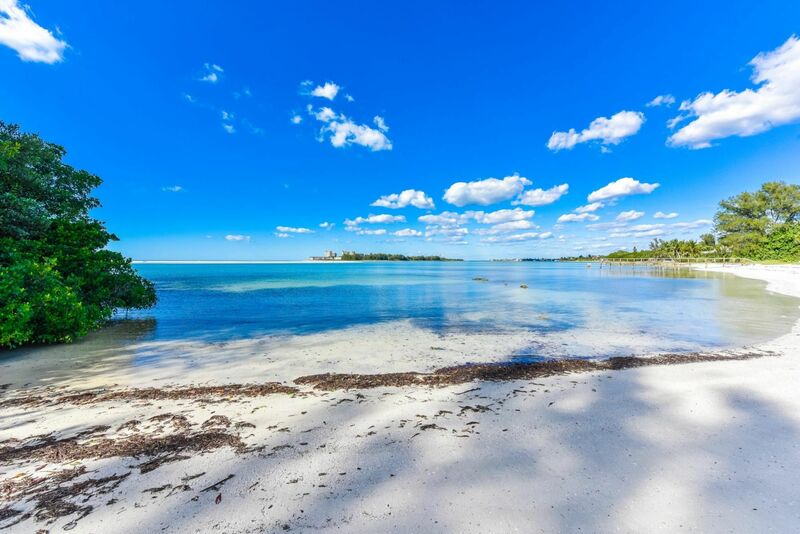 Key West Style home with stunning views of the Gulf of Mexico and access to secluded beach located in one of Sarasota's most sought after areas, Siesta Key! 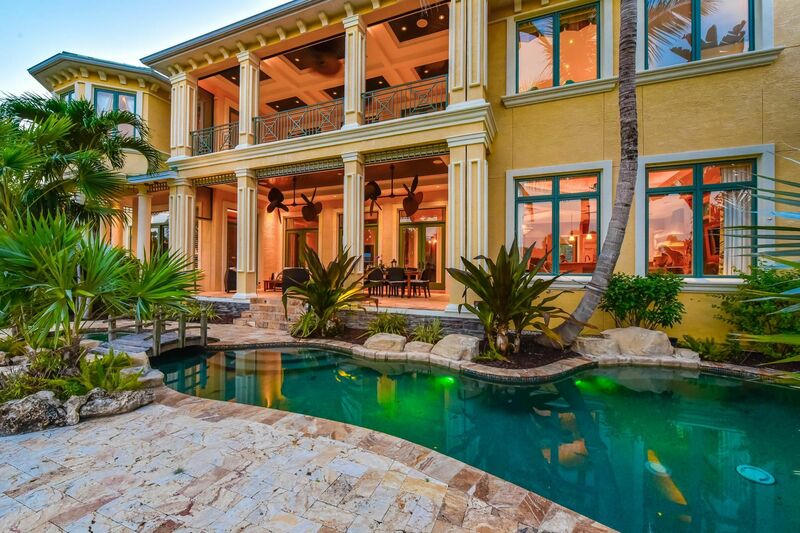 This is the ultimate Florida luxury dream home and a great example of cheerful yellow accentuating the tropical setting! A British West Indies style home also located on the stunning tropical island of Siesta Key with views of the Grand Canal. This home is truly special with a magnificent outdoor pool area featuring a lagoon like pool and expansive outdoor space and beautiful views.